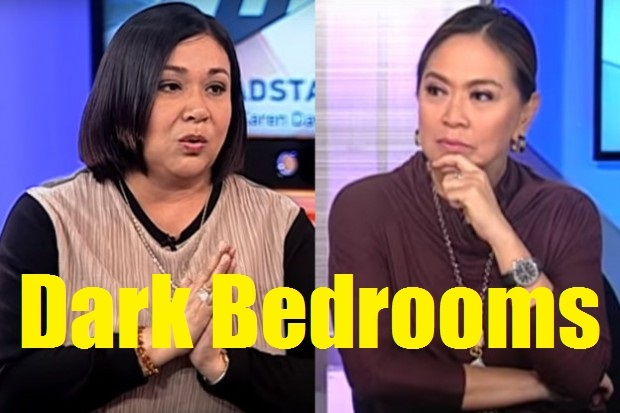 On November 16, 2015, popular movie actress-turned-politician Alma Moreno (who is running for a seat in the Philippine Senate in 2016) was interviewed by an equally popular television talk show host Karen Davila. The venue was Ms. Davila’s show, Headstart, on ANC. A day after the encounter, the interview was uploaded on social media and became viral in the next few days. Unfortunately, both ladies were criticized for either being too dumb and/or being too intelligent at the same breath. I will no longer dwell on the quality of questions asked or the quality of answers given… except for one particular answer senatorial candidate Moreno gave. The question was about Ms. Moreno’s recommended solution to the population problem… to which she answered “Huwag papatayin ang ilaw” (“don’t turn the lights off” or “keep the lights on”). Looks like candidate Moreno has a point afterall… people do have a tendency to be “shy”, aloof and less sexually aggressive when the lights are on… therefore, lesser sexual encounters equate to less pregnancies. And lesser pregnancies have less population impact. Makes sense, hindi ba? This brings us to the sad fact that population increases are largely prevalent in remote communities that do not have electricity. These off-grid areas, because of over population, more often have health, security and economic issues. Over population is a core environmental problem as it puts pressure on food supply and security and land use conversion. Having said this, it is therefore a must for these remote communities to be energized ASAP. The next question, perhaps, is how… How can electric posts and lines be extended to these remote communities when putting up the necessary infrastructure is way too expensive? Utilities providers, from the purely business viewpoint, find it not too encouraging considering the “cost-benefit” ratio. The total energy consumption of these communities simply does not justify the high cost of electricity infrastructure. So what can be done for these remote communities? Solar power could be answer as this initiative does not need costly posts and lines. Stand-alone solar lighting post can be installed in these communities if individual household solar installations cannot be feasible yet. Brightly-lit streets could prompt more social events and activities for the residents as opposed to staying home in their dark bedrooms.